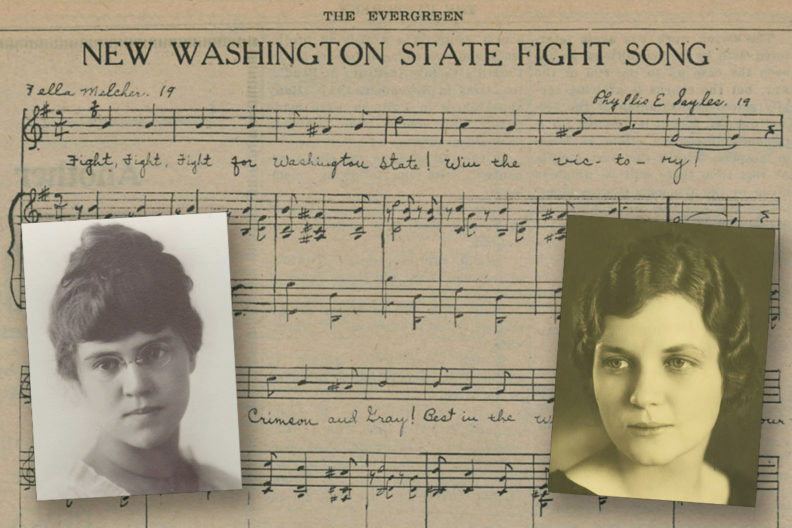 On February 20, 1919, two WSU students, Zella Melcher and Phyllis Sayles, debuted their newly proposed campus fight song to virtually unanimous acclaim. At the centennial of “The Fight Song,” an exhibit in the WSU Libraries’ Manuscripts, Archives, and Special Collections (MASC) looks at the role it, and similar songs, played on campus, looks at the events leading to the fight song’s creation, and shares the lives of the two women whose music has inspired generations of Cougars. The MASC is located in the Holland and Terrell Libraries, just off the central entrance atrium (beneath the conical glass skylight). In addition to our normal M-F 8:30-4:30 hours, the exhibit will be open on Mom’s Weekend Saturday from 10:00-7:00.